This Homemade Easy Roasted Corn Salsa comes together in 5 minutes! 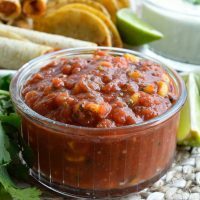 A restaraunt style salsa recipe made in your blender. 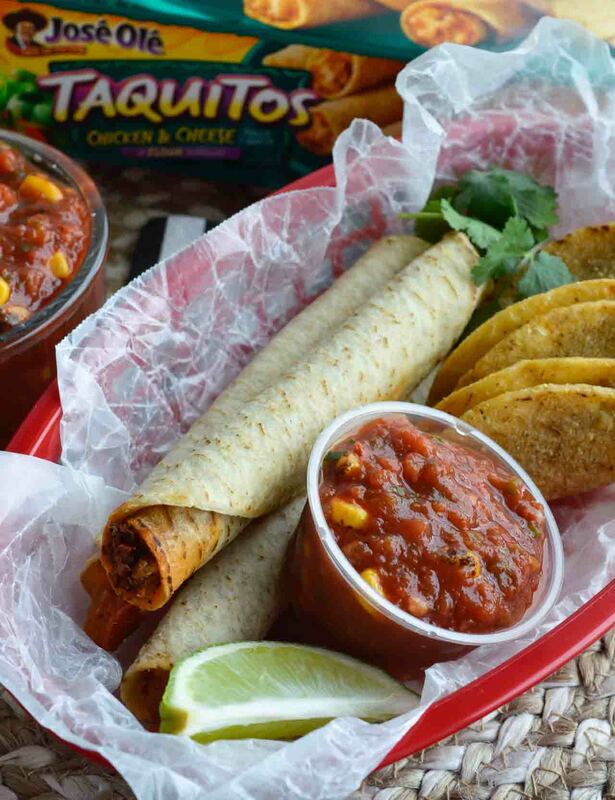 I am excited to be partnering with José Ole® to bring you this tasty game day recipe! 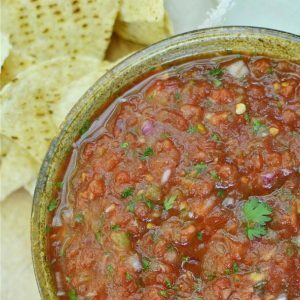 Salsa is one of those things that can be easily made at home and once you do it you’ll wonder why you didn’t start making your own sooner. As with anything homemade the best part is that you can control the ingredients and flavors. 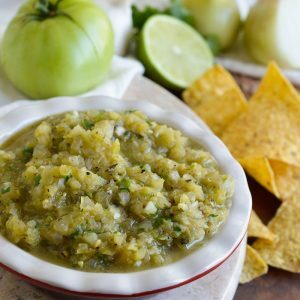 For this salsa I added roasted corn to brighten it up and add texture. 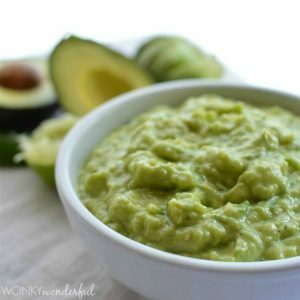 The creamy dip is a simple blend of sour cream, lime and cilantro. Oh Yeah! Of course, you need something delicious to serve with this Easy Roasted Corn Salsa. 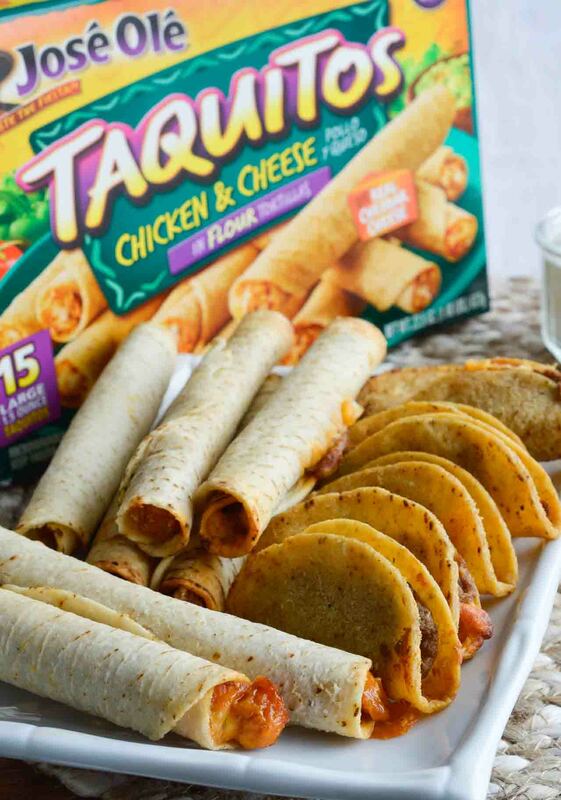 José Olé Taquitos and Mini Tacos are the perfect pairing! 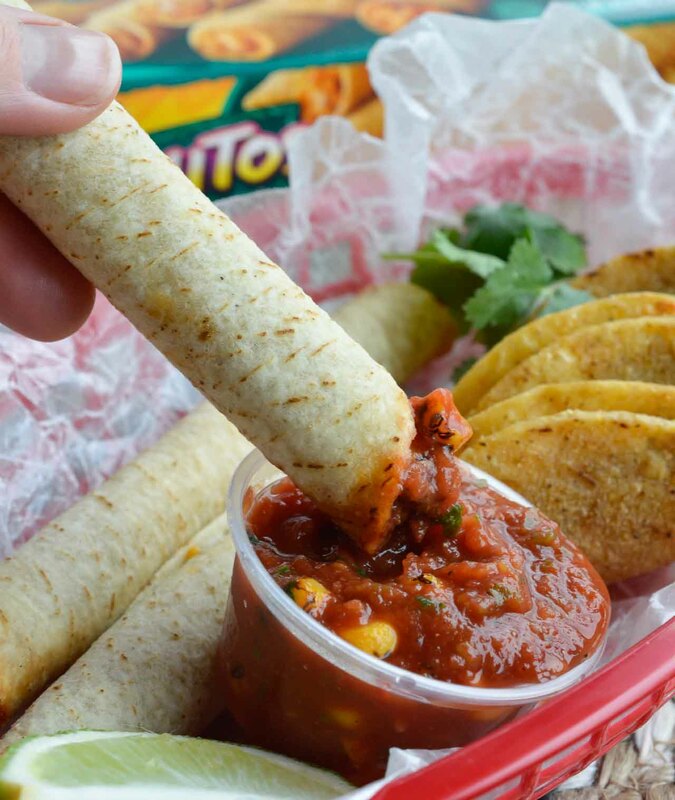 José Olé Mexican snacks are a fun, easy and authentic game day food. 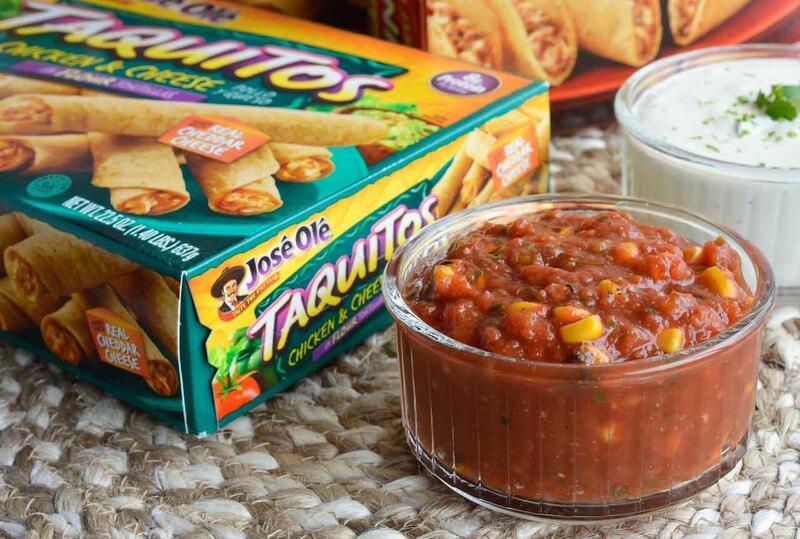 Be sure to stock your freezer with José Olé to feed your hungry crowd! Take the stress off yourself when feeding a hungry crowd. 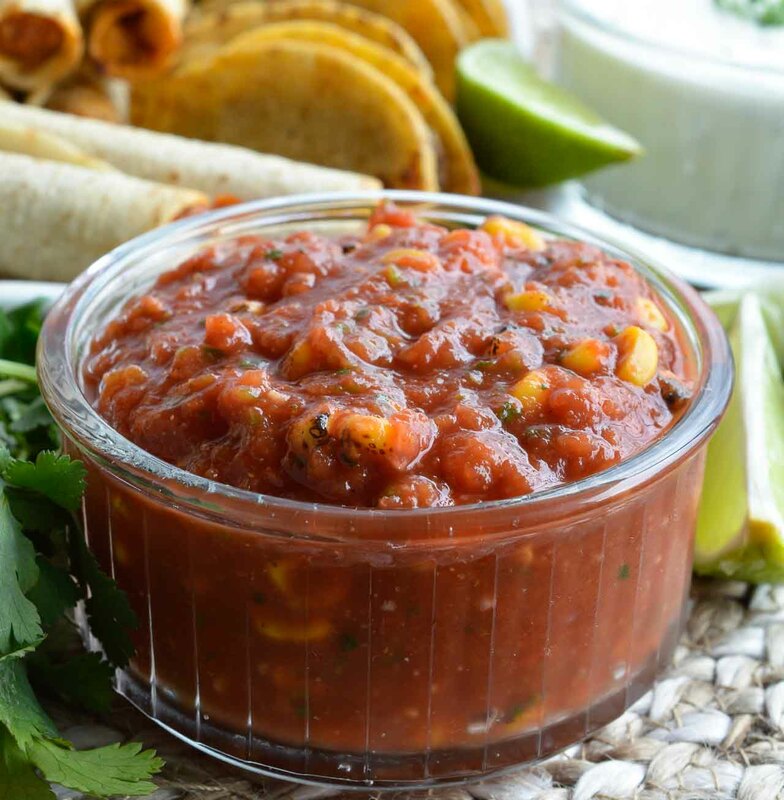 Serve José Olé and roasted corn salsa for your game day grub! Just bake and serve José Olé Mexican snacks . The salsa tastes better if it is made the day before, so it will be ready to go when you are. Set out some plastic food baskets, napkins and salsa cups. Then sit back and enjoy kick off! Check out José Olé on Facebook, Pinterest, Twitter and Instagram. Set up a self-serve snack station and let the fun begin! 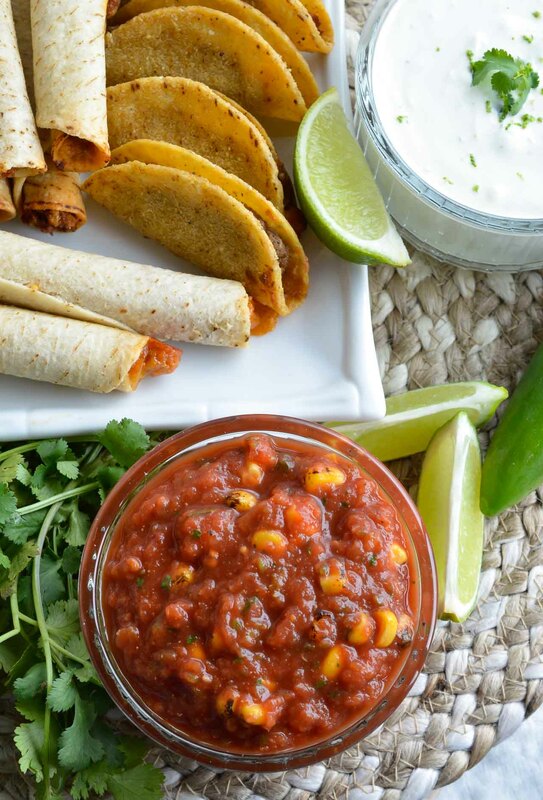 Your hungry fans are going to love this Easy Roasted Corn Salsa and Creamy Cilantro Lime Dip! Place all ingredients except corn into blender or food processor. Pulse until all ingredients are finely chopped. Combine 1 cup sour cream, zest of 1 lime and handful of chopped fresh cilantro. *If you are unable to find frozen roasted corn, regular corn works too. Or use fresh roasted corn.